On one hand, when hiring employees with criminal records, employers are at risk of negligent hiring if they fail to do their due diligence in investigating the employee’s background insofar as it relates to the job for which they are applying. On the other hand, employers can also be at risk if they exclude applicants who have criminal records and it results in discrimination. Employers should not ask about convictions on job applications. Inquiries should be limited to convictions for which exclusion would be job-related for the position. Employers should avoid policies that automatically exclude people from employment based on only certain criteria (such as criminal status) - particularly "blanket exclusion" policies. Employers should avoid hiring practices that result in adverse impact for a protected group (such as on race, national origin, etc.). Employers should regularly investigate whether their background screening practices are resulting in adverse impact for protected group. Employers should be cautious about excluding employees from the hiring process based on their criminal record, especially if the criminal offense is unrelated to the job. Employers should consider other factors relative to the conviction including the facts or circumstances of the offense/conduct, the number of offenses the individual has been convicted of, the age of the convictions, the length and consistency of employment history before and after offense, rehabilitation efforts, and references. Employees should give all applicants a chance to explain their criminal records. Too often, employers exclude candidates who have any sort of criminal record, which can include misdemeanors, arrests that did not result in a conviction, and convictions for crimes not relevant to the job. Additionally, employers should be aware that when using criminal records to exclude applicants, they may be inadvertently adversely impacting race. Refusal to hire convicts disproportionally impacts African American men. A few new court cases illustrate these points. In 2013 the EEOC filed lawsuits against BMW and Dollar General, alleging that their background screening practices are overly broad and discriminate against African Americans who have higher conviction and arrest rates than other races. BMW has a blanket exclusion policy which denies facility access to its employees and contractor employees with certain criminal convictions; indicates no time limit with regard to the convictions; and does not consider the nature or gravity of the crime, age of conviction, and whether the conviction is job-relevant. The EEOC considered BMW’s policy to be overly broad. At Dollar General, two situations occurred. An applicant was offered a conditional offer, however, disclosed a six-year-old conviction for possessing a controlled substance. The offer was rescinded as this type of conviction was deemed a disqualification factor for 10 years by Dollar General. Another applicant was terminated after a criminal report mistakenly attributed a conviction to her. Although she communicated this to her manager, the company did not reverse the termination decision. Finally, in another case, Waldon et al v. Cincinnati Public Schools, two African American employees claimed they were discriminated against when they were fired based on state-mandated criminal background checks and alleged disparate impact discrimination. These cases demonstrate that employers should avoid blanket prohibitions of hiring applicants based on criminal history and should do a case-by-case analysis of criminal records that consider the nature of the crime, the amount of time that has passed since the crime, and how the crime relates to the position. It should be noted that there are some benefits of responsibly hiring felons and ex-convicts. There are also many success stories of rehabilitated offenders who have been given employment opportunities by employers and have turned out to be committed, valuable employees. 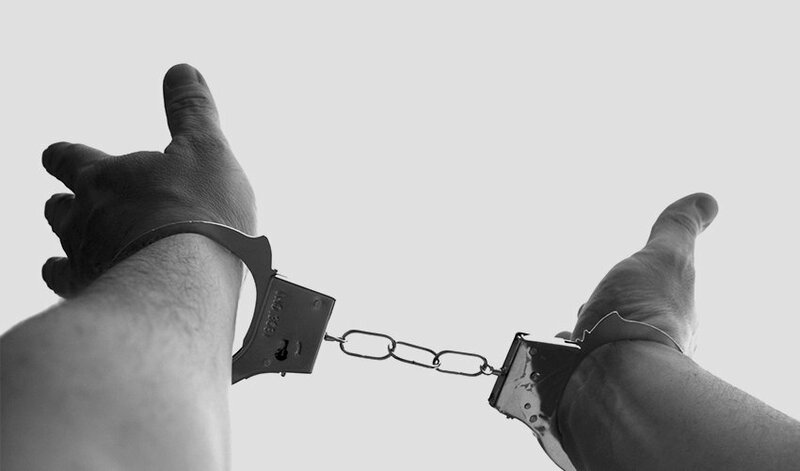 While many employers have concerns with hiring felons and ex-convicts, and these concerns are certainly justified, employers should be sure that when making decisions about whether or not to hire felons that they make sure they are treating applicants with criminal records fairly and in compliance with the law.